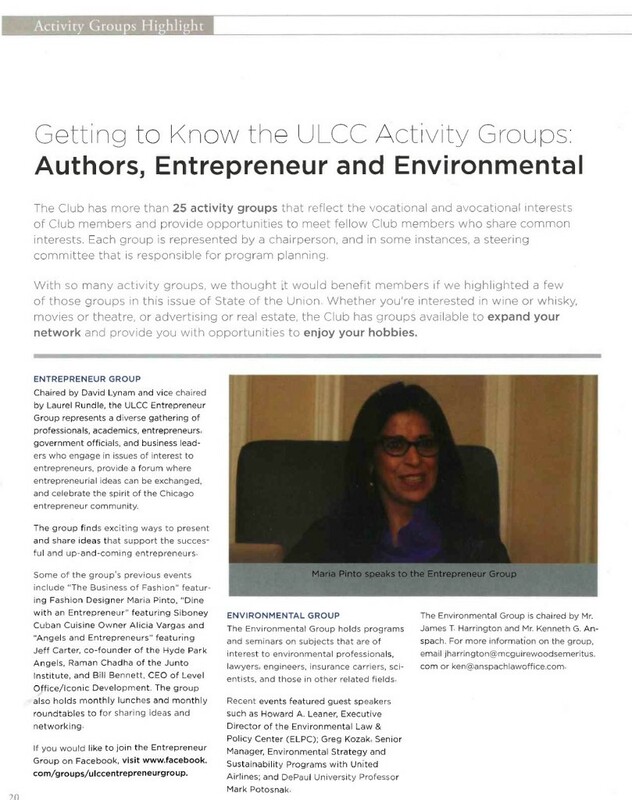 The leadership of the Union League Club Entrepreneur Group was highlighted in the Winter 2015 edition of The State of the Union, the official magazine of the Union League Club of Chicago. The Entrepreneur Group is chaired by David Lynam of Lynam & Associates, and vice-chaired by Laurel Rundle, Partner at Aha! Marketing and CEO of All for Schools. The Group, a panel of professionals, business owners, executives and members of the startup community, meets monthly to engage in issues of interest to entrepreneurs, provide a forum where ideas can be exchanged, and engages in activities that celebrate the spirit of the Chicago entrepreneur community.